While there are many very, very talented women shooters, it’s still a bit unusual to see many ladies on a long-range firing line. 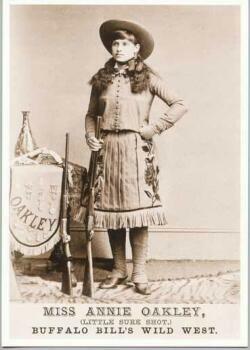 It’s even more unusual to find a women shooter who regularly beats all the “good ol’ boys”. This week we feature Katy from California, who competes in Varmint Silhouette matches with a very stylish and accurate Stolle 6BR. Along with husband/spotter/factotum Don (who shoots a 6mm Dasher), she is one of “Top Guns” at the popular Pala range in North San Diego County. 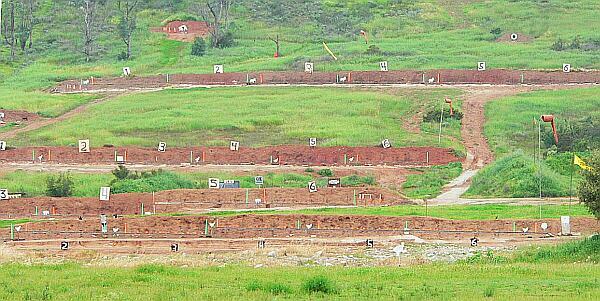 Near the Indian Casino and Resort in Pala, California is one of the longest rifle ranges in the state. Every weekend Pala hosts one or more shooting matches–cowboy action, lever action silhouette, black powder silhouette, hi-power silhouette, tactical pistol and rifle matches, to name a few. 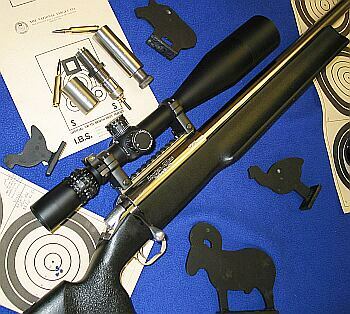 The black powder buffalo and tactical rifle matches use the longest range with 900-meter targets. Katy and her husband Don compete in Varmint Rifle Silhouette matches, shot on the first Sunday of every month. Range Info: NCSAPala.com. Map and Directions: Pala Map. For Katy and Don, shooting is a family affair: “I started shooting the varmint rifle silhouette at the encouragement of husband Don. He bought/built himself a 6mm BR to shoot the varmint rifle match and re-barreled an old Hart-sleeved Remington 700 to fast-twist .223 for me to use. I did pretty well for a beginner, winning a match after just a few months of competition. Winning with that .223 had competitors scratching their heads. Frankly, it was just a fortuitous combination of great spotter, steady hold, and a good rifle. That .223 was certainly a very accurate piece. I always expected the bullet would hit right where the rifle was aimed, if we called the wind right. But like all good things, with time the .223’s accuracy began to fade. As the barrel finally gave up the ghost, a replacement was ready–a bright red Panda bear chambered in 6mm BR. With my old .223, I won five varmint matches between December 2000 and April 2002. I also won my class (Master) in June, 2001. However, with the 6BR Panda, I shoot higher scores and have now had four match wins between May, 2003 and August 2004. And I won my class twice in 2003. Over time, as our competitors’ skills and firearms have improved, the criteria for shooter classification has been upgraded. Originally, one could miss 10% of the animals and qualify as a “Master” shooter. A few years ago, the criteria was tightened to 5% misses to earn “Master” status. This 6mm BR has kept me up in Master class. We all know women can be crack shots. The little lady in the picture proved that more than a century ago. Competitive shooting is one of the few sports where women can and do compete head-to-head with men–and often win. For example, Specialist Liana Bombardier, of the U.S. Army Marksmanship Unit, recently captured the U.S. National Long-range Service Rifle Championship at Camp Perry. So, we have the skills. But the fact remains shooting is still very much a male-dominated sport. Here are some of my thoughts on how that might change. 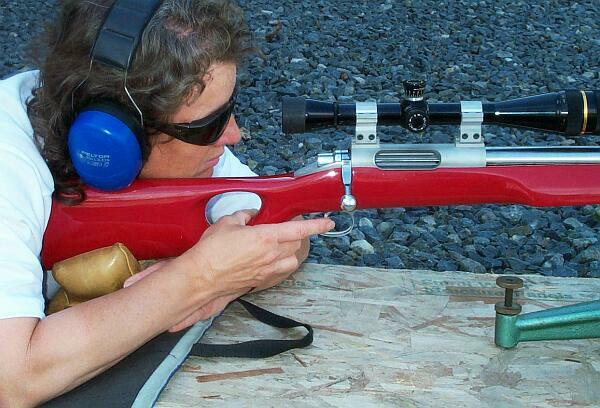 The first and most important benefit of competitive shooting is learning to handle a rifle/firearm safely. We’re well past the time when women should have conquered their fears of guns. An added benefit would be increasing a woman’s ability to respond to any threats. I remember when I was in college and we took my anti-gun roommate out to the range for a shooting lesson. She had a great time shooting away. She learned that firearms are not just “scary”, but also an enjoyable tool. Since we aren’t going to get the silencer legislation changed to improve women’s enjoyment of the sport, we will have to promote other aspects of shooting. I think shooting sports can increase self-confidence, giving women a sense of accomplishment and inner strength to remain calm under stress. It is very satisfying to see a positive result (at very long distance) of your focused efforts. Developing skill at any sport can improve one’s self-image and coordination. Encourage the women in your life to join you at the range. Believe it or not fellows, your wives and girl friends like to spend time with you. At Pala, some of the wives make the best spotters, even though they don’t shoot. I find these varmint silhouette matches ideal from the standpoint of a woman’s participation. 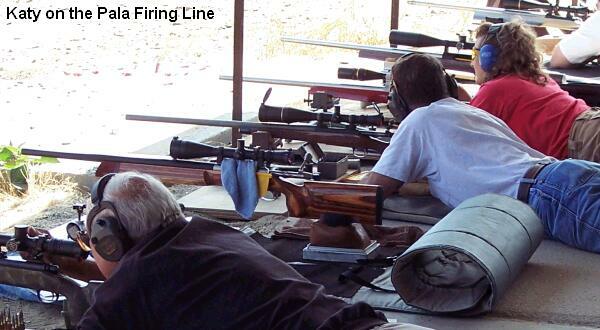 First, you get to lay down and shoot–that’s much more relaxed than classic position-shooting. Second, the really heavy rifle is supported on front and rear rests so that all you need to do is carefully guide the rifle, concentrate on the sight picture and pull the trigger when everything lines up. And, by the way, I clean house and prepare the meals, while my husband Don cleans the rifles and prepares the ammunition. The first thing a women notices at the range is how much noise these rifles make. How can anyone carry on a decent conversation, much less think with all the racket? Practice days are the worst–there is just constant gunfire with very few ceasefires. Matches are fine, because there is only gunfire during warm-up and then for 8 minutes during each relay. On the firing line, I wear both fitted earplugs and ear muffs to tolerate the decibels. Being heard and understood is always a problem during the match. One of my fellow female shooters commented that, at the range, the guys never seem to talk about anything but firearms and their accouterments at the range. Although I am familiar with the term “minutes of angle” I have gotten sloppy in my speech and generally just report how many clicks one needs to adjust for the wind or the sighter shot. Reading Don’s equipment discussion confused me when he kept referring to MOA. I have been with non-shooting friends several times when knowledgeable shooters start talking firearms. It is as if they are speaking a different language, and my friends look to me with a puzzlement on their faces. Well, in fact it has its own language and I think I’m getting finally getting able to speak it. Way back in 1990 a Precision Shooting magazine “Trading Post” advertisement offered a low-mileage, Panda-actioned .262″ neck, 6mm BR rifle and all the reloading accouterments. This light-varmint class rifle was built in the mid-1980’s around an unusual round Panda action with straight-fluted bolt. As configured, the gun had performed very well indeed–shooting many groups in the zeros. The action is glued into a Lee Six thumbhole BR stock and uses externally accessible pins to hang the 3 oz. trigger. The scope is an older 36X Leupold BR model, held by Kelbly rings on a Davidson base. The original barrel was a 4-groove, 14-twist, apparently made by Pat McMillan. A hand-written information tag taped to the underside of the barrel was discovered upon its removal, and indicates the barrel was fitted by JACO, April 1986. Anyone know who that is? The 14-twist barrel could not stabilize any bullets greater than about 80 grains. It would keep an 80-grain Starke inside 0.4″ at 200m with a velocity of 3120 fps using 31.8 grains of Varget. However, the 80-grain bullets were blown all over by the winds out to 500 meters. Past success with Pac-Nor pre-fit barrels inspired me to order a 28″, 4-groove, 8.6″-twist barrel chambered with their .262” neck 6mm BR reamer. Pac-Nor crowned and chambered the barrel; and, in this case, threaded it to fit a Panda action. After we installed the barrel on the action, we found that the bolt nose touched the conical barrel breech face. 0.010” needed to be removed from the cone face so that the bolt closed with a perfect fit. Headspace is now just right at 1.167″. My experience with a couple of other fast-twist 6BRs, one also chambered with Pac-Nor’s .262″ reamer, suggested that the 95gr Berger VLDs would work well the estimated 0.060″ freebore in Katy’s rifle. The goal was to get 2800-2900 fps velocity with inherent accuracy no worse than half the smallest silhouette size. That meant we needed a load that delivered repeatable 0.4 MOA accuracy or better. A new batch of Lapua 6mm Norma BR brass was neck-turned to 0.0083″ wall thickness to fit the chamber and fire-formed during barrel break-in, following Pac-Nor’s guidelines. We tried a bunch of different moly-coated bullets at 200 meters, most with moderate charges of H322. The results of the bullet-testing ranged from poor (over an inch) to astonishing (68-grain, flat-base Eubers over 29.7 grains of H322 went into about .25″ at 200 meters!) But these Flat-based bullets lacked the high ballistic coefficient we wanted for the varmint silhouette match. So we tried the 95-grain VLD Bergers (0.5+ BC) and produced several good loads, all sparked by Federal 205m primers. The best load seemed to be 28.2 grains H322 at 2860 fps, followed by 30.4 grains N135 at 2920fps, and 31.0 grains of Varget at 2890 fps. All loads shot better than 0.4 MOA, but the H322 seemed a little more accurate, and about twice as much H322 was on hand. So, after about 120 shots the barrel was conditioned, brass formed and a match load selected for the 95 VLD Bergers. Bullets are seated about 0.010″ into the rifling for a typical cartridge LOA of 2.325”, which puts the heel of the 95 VLD boat-tail just below the case neck-shoulder line. Cases are sized with a Wilson neck bushing die that works only the upper 2/3 of the case neck to support the bearing surface of the seated bullet. To date, the original lot of 100 cases has been fired and reloaded about 16 times with no failure of any sort, no loose primer pockets, and fairly uniform neck tension. Occasionally, Katy will get a slightly stiff bolt lift or extraction. That invariably turns out to be enlargement of the case shoulder diameter, not a headspace problem. A quick pass in a full-length die solves the problem and can be used to bump the headspace too. Routine reloading consists of tumbling the brass in corn-cob media to clean the case neck exteriors. Sizing and de-priming is done with the Wilson neck die fitted to a Lyman 310 tong-tool. Primer pockets are cleaned with a Dewey Crocogator (nothing is better), hand primed by either a Lee or Sinclair tool, and charged with weighed amounts of H322. 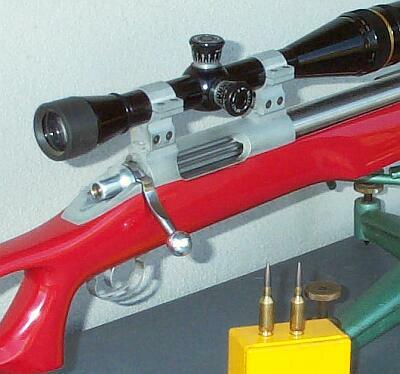 Molyed bullets are seated using a Hornady micrometer seater with a sliding sleeve. Firearms are limited to field-portable, varmint-caliber rifles in either custom or factory class, and having a maximum 6.5 mm bore, but bullets must weigh no more than 107 grains. All firing is done prone using any front rest and bag rear. These, and other local matches are open to the public. Check out the range website at: NCSAPala.com. After a few matches it was clear that an accurate rifle firing a wind-bucking bullet was needed to consistently connect with steel. Early on, fast-twist .223s which could stabilize Sierra 77gr and 80gr bullets had some success. Other shooters were using various 6mm cartridges to good effect. The selection of VLD bullets for the 6mm bore and enthusiastic “Precision Shooting” articles on 105/107 grain bullets in the 6mm BR by the late Rodger Johnson and Pat Gamman inspired the re-barreling of short-range Benchrest rifles to fast-twist 6mm BRs or 6BR improved. This is now the cartridge to beat, though one shooter is very successful with a 6mm Remington, and the 6.5-284 can be very competitive..
Matches are fired as a team–shooter and spotter. The course of fire typically consists of 10 steel, knock-down varmint animal targets at each of the four distances. A relay or distance is usually shot in two, 4-minute sessions of 6 rounds–one round fired at each of 5 targets plus one sighting shot per session. After firing a sighter, targets are taken from left to right, one shot per target. Missed targets remain standing. Additional sighters can be taken at the expense of “missing” the next target in sequence. Any target struck out of sequence is also a “miss”. The shooter’s objective is to sequentially knock-off (clean) all 10 targets. The spotter’s duties are to support the shooter in all aspects of shot preparation. First and foremost, the spotter tries to see each shot impact and call appropriate windage and elevation adjustments for the shooter. In shifty conditions, a good spotter is vital. Let’s start at the beginning. Before the match there is usually an opportunity to fire a few fouling shots and check sight settings for load and distance. An initial read on conditions–mostly wind direction, strength and consistency–is also made. The spotter should checklist the shooter to make sure they are set up for the relay distance and have adjusted their sights to the correct elevation and windage. It could be argued that for the shooter, the first shot at a given distance, the sighter shot, is the most important shot fired. Since the sighter targets are fixed (don’t knock off) and freshly painted, bullet impact is obvious to both shooter and spotter. If the bullet hits where expected–point of aim–the spotter then tracks and calls observed changes (mostly wind) relative to the shooter’s initial scope settings. If point of impact shifts on subsequent record targets or the shooter misses, appropriate sight adjustments are recommended to the shooter. Admittedly, it is sometimes difficult or impossible to see the point of impact on these small, reactive targets. However, an estimate of bullet strike can be made from target behavior such as rotation and/or impact trajectory. At our Varmint Silhouette matches, moly-coated bullets seem to offer a couple of advantages. First, moly helps control barrel fouling, allowing more rounds between cleaning. A minimum of 50 to 70 shots are fired per Varmint Silhouette match, depending on pre-match sighters. So, a full course of fire can be shot uninterrupted by cleaning, with confidence that barrel fouling isn’t a problem. Secondly, the slippery coating provides a consistent interface between bullet and case-neck without having to meticulously clean case-neck interiors. With moly, the amount of friction between bullet and case neck of your loaded rounds remains consistent for long periods. The moly coating does not bond to the neck interior. Katy tells us: “Don and I are avocado farmers. Occasionally, we’d bring a few avocados to the range to give to the other shooters. Then in 2002-03, a Mexican fruit fly quarantine was declared for portions of San Diego County including our farm. The Quarantine allowed transport of processed fruit, but no fresh fruit could leave the restricted zone. The problem was that we had a bumper crop and limbs were so overloaded with fruit they would occasionally break, leaving us with lots of fruit. The quarantine started in November ’02. In January ’03 southern California had one of its Santa Ana windstorms that blew down hundreds of pounds of our fruit crop (and part of the roof) off onto the ground. 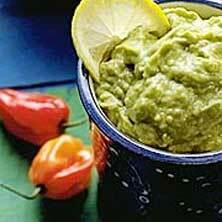 So, I made a huge batch of guacamole for the Varmint Silhouette match. All of the above quantities can be adjusted for taste. Mash the ingredients with a potato masher. Serve with chips, fresh vegetables (carrot sticks, celery, broccoli), or as garnish for tacos, burritos, taquitos, etc., and as special treat – spread on warm buttered toast for breakfast. Topics: Pala, San Diego, California, Match, 6mm, 6mm BR, 6BR, 6BRX, .223, 6.5-284, Norma, Lilja, Krieger, Shilen, 500 yards, IBS, NBRSA, Egg Shoot, Ground Hog, Varmint, Varmint Silhouette, Varminting, Jewell trigger, Benchrest, BR, Bench Rest, Single-shot, competition, rifle accuracy, Norma, Hodgdon Powder, H322, Varget, Vihtavuori, N135, Euber, Berger, Lapua Scenar, McMillan, Pac-Nor, stocks, Lee Six, Stolle, Panda, stainless barrel, reloading, powder, case forming, neck-turning, .262, .271, Lapua Brass, Berger bullets, precision.